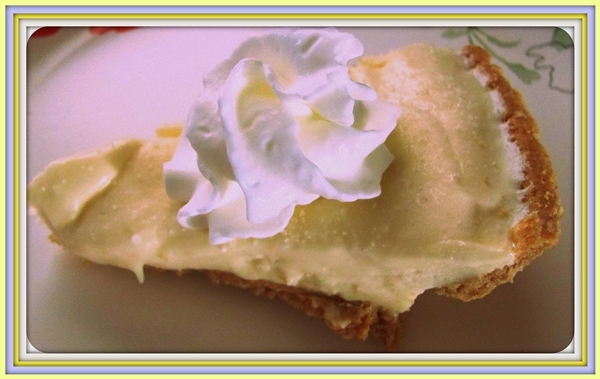 I made a lemon ice-box pie today, for no good reason. Several sad things have happened over the past few weeks – the pinnacle of which was the Sandy Hook Elementary shootings, the saddest of all. And I had a jar of lemon curd in the refrigerator (very Rachel Ray of me, no?) that was on sale at the new Trader Joe’s last week and a pre-made graham cracker crust leftover from Thanksgiving, so I figured…why not make a lemon ice-box pie? I’m fighting the funk a bit these past several days. The Sad is a powerful thing. Lemons are yellow, the color that is supposed to lift your spirits. And the recipe also called for sweetened condensed milk, which is the antidote to whatever ails you. Throw in some cream cheese and lemon curd and I had a pie filling so yummy that for the two or three minutes of spatula-licking involved, all was right with the world. Except that it wasn’t, of course. So after putting my pie in the freezer to chill, I sat down and attempted to do the same. I was thinking about how much the yum reminded me of my childhood – my grandmother used to make all kinds of ice-box pies. There are things about my childhood that don’t exactly put me in a cheery mood, but there are also many things that do. My grandmother is one of them. She was from an era before mass school shootings and Doomsday Preppers, a time before it was considered dysfunctional to ease suffering with sweets and feed your family to comfort them. I was a skinny little kid back then who resented that I had to eat at all, much less enjoy food. I was too busy discovering things. Childhood made me think more about the babies who died in Connecticut last Friday, so I started to cry…again. All through the day today, I checked the news websites to see if they’d come up with any answers (as if there COULD be any) and cleaned the house to distract myself from what I’d just read. My friends, who have recently experienced loss and depression, I am crying for them too. Busy work, busy work that only made me tired. I’m lugging around The Sad, and it’s heavy. I miss my family…the ones with whom I’m estranged through a series of most unfortunate events, and the ones who have passed out of a world that has to deal with such horrors. I’m disappointed in myself on a couple of different levels. Help me to see myself the way You see me, God. Not through the scratchy lens of self-condemnation. I don’t understand what is happening all around us. It isn’t fair that children die. That their parents won’t ever have the opportunities afforded to so many of us. Daddy-daughter dances, little girls standing atop their father’s shoes to waltz perfectly; Mommies to clean the mud out of soccer cleats and teach their boys how to be good husbands. My soul is weary with sorrow; strengthen me according to your word. – Psalm 119:28 (King David’s lament to God….well, ONE of them. He was another of the Father’s needy children). Knowing the children who lost their earthly lives are in a perfect place, discovering wonderousness beyond our comprehension dents the grief. They are – I believe – surrounded by yellow there – experiencing ultimate uplift-ment. All is right in their worlds now; they suffer no more, but their families? I cannot begin to imagine what they are going through. They carry the heaviest burdens anyone can be expected to carry. We cannot allow evil to prevail, but we must ask for help. Maybe we can all learn a bit about living in the now. Spend less time in busy work and more time in honest conversation with our Creator. Hold our families as close as we can for the time we are given. Go a little easier on ourselves, learn to forgive ourselves. When we’re weary, take time to be enveloped in the Wind and listen to what God says about strengthening, refreshing and giving rest. And, of course, make lemon ice-box pie for no good reason. 2012 in review and 2013 anew! Thank you, Lisa. I wish you were here to help me eat it! You’ve been on my mind lots, maybe we can get together sometime soon. Love you. Yes, ma’am. Your posts make all the difference to me, just so you know. Plus also, I really enjoy your sense of humor, girl. I always tell my girls that there are two things in life that will make the difference between making it through and not: strong faith and a good sense of humor! Hugs to you (((Kim))). My very favorite of all you’ve written. Thank you! Makes me want to come over and give you a hug…and get some pie! Lovely writing, deep feelings, great inspiration! Thanks for the heart! All hugs welcome, Mel. And as a matter of fact, I am making more pie tomorrow. Maybe I’ll bring you and Andy some!